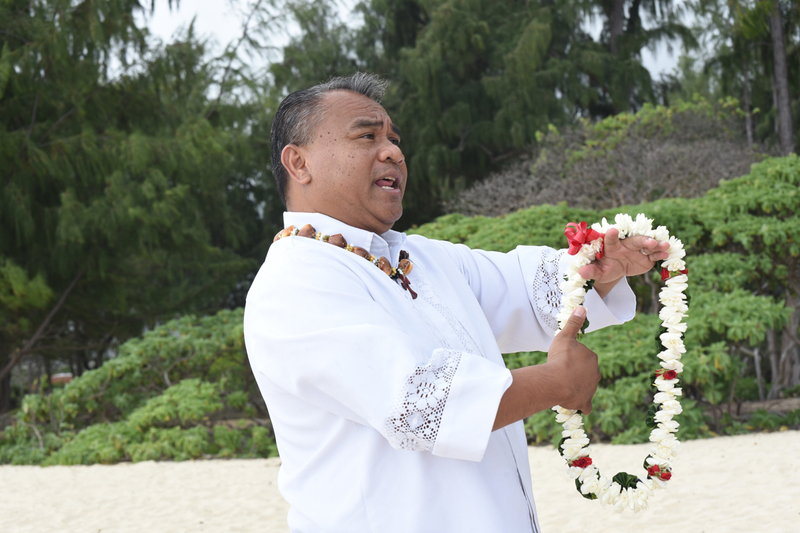 Rev Jofrey talks about exchanging flower leis, a tradition of the Islands. 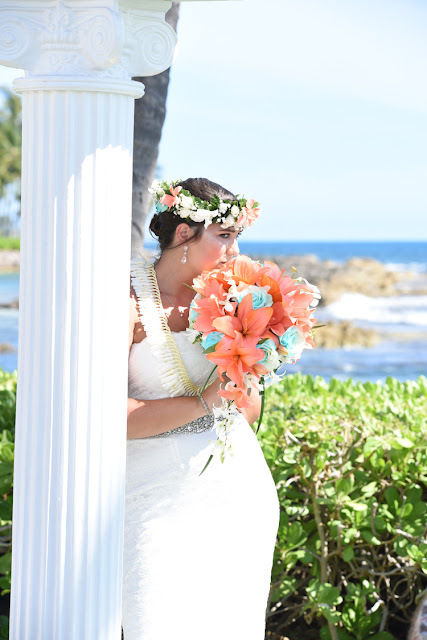 In Hawaii when you give a flower lei, don't forget the kiss on the cheek. 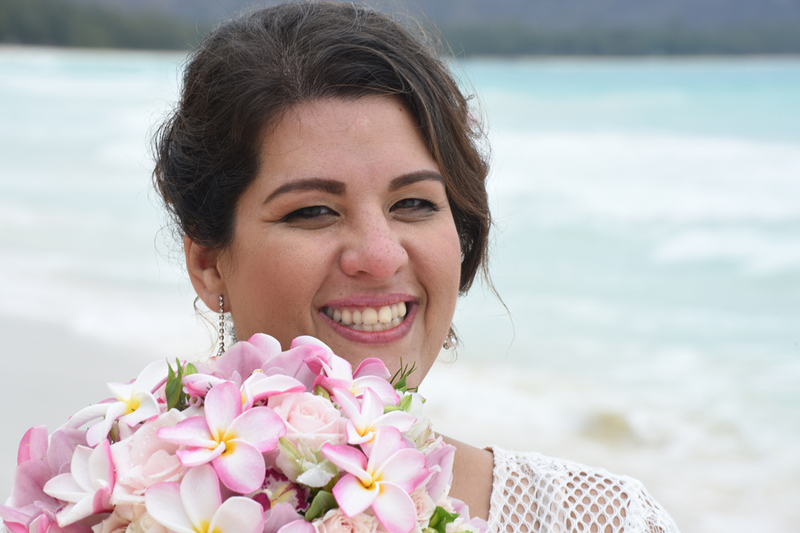 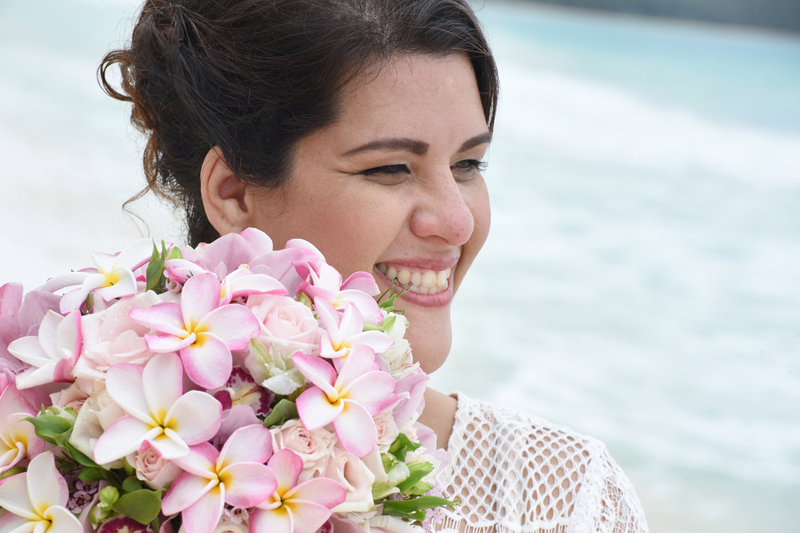 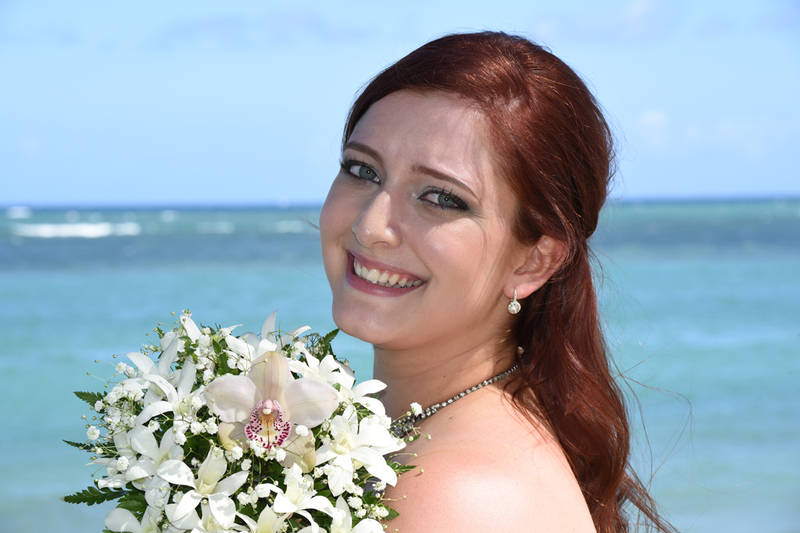 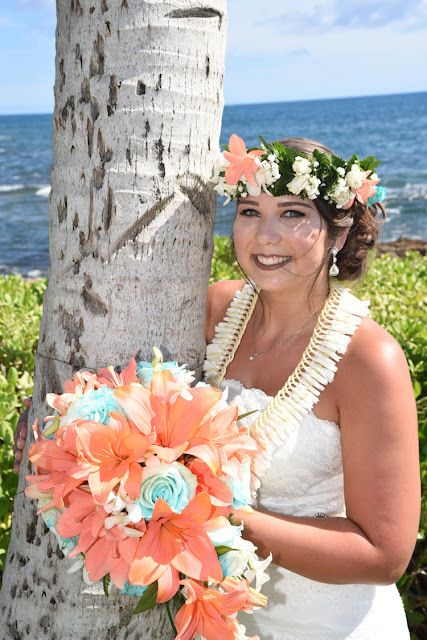 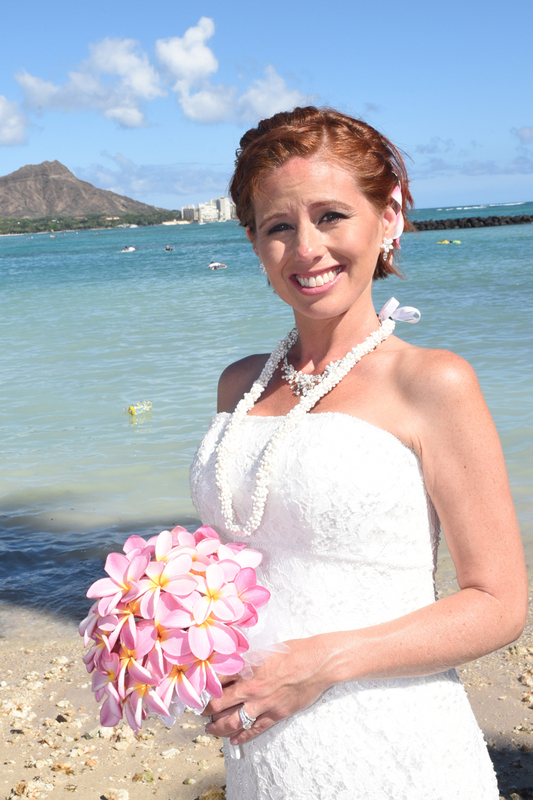 Kathleen holds her pink plumeria bouquet with a lovely blue sky and a pretty shell lei. 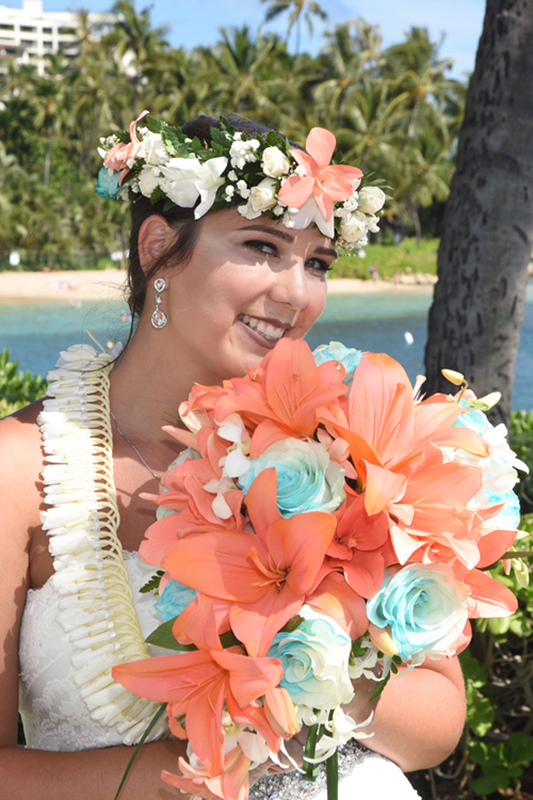 We'll have to call Courtney's orange lily and blue rose bouquet a custom creation. She makes a great flower model! 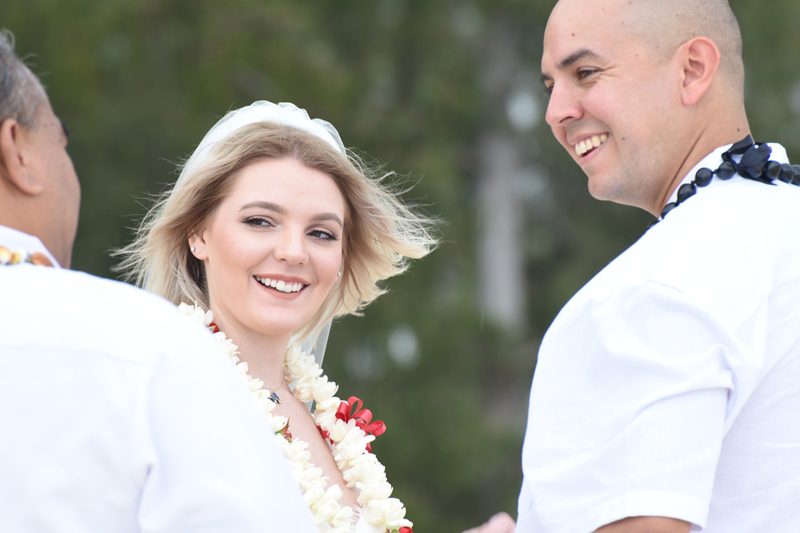 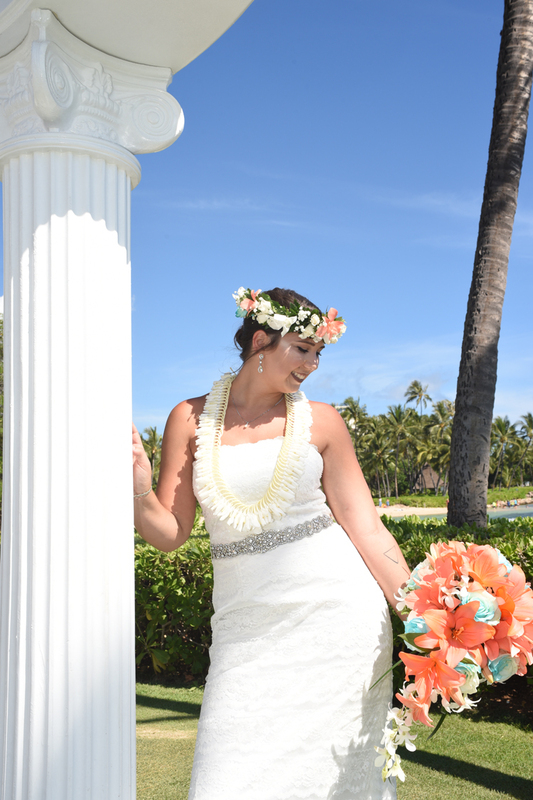 Haku lei is a crown of flowers for the Bride. 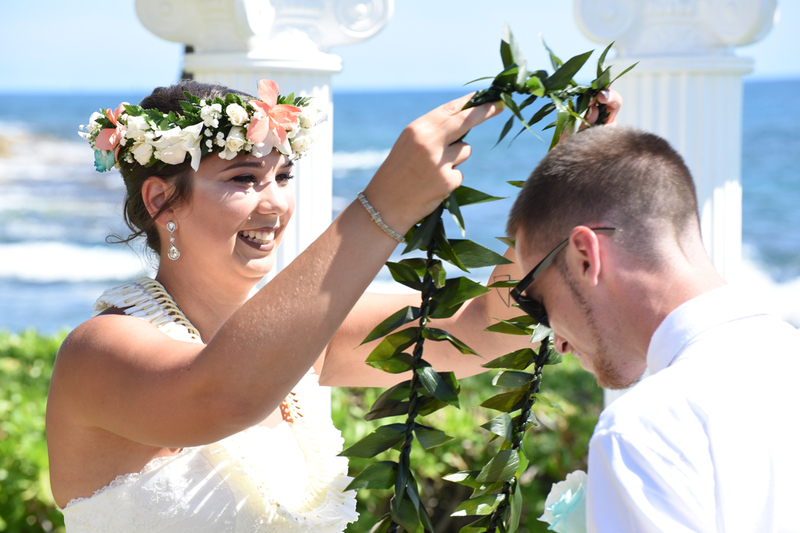 Courtney presents her Groom with a twisted ti leaf lei made in the "maile" style. 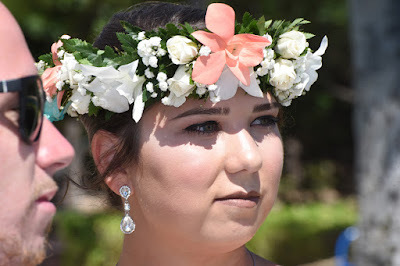 Available for $50.00.